A man in Sullivan County is now facing an attempted second degree murder charge when he tries to attack his son with a chainsaw. 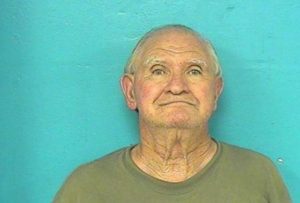 And in self defense, the son uses a lawn mower to run over his 76 year old father. Douglas Ferguson, according to investigators tried to attack his son back in June while his son was mowing the lawn. And in the midst of the attack, and in self defense, the son ran over Ferguson with the lawn mower. Deputies found Ferguson bleeding from his head and leg. The arrest is just now being made due to the injuries sustained by Ferguson.